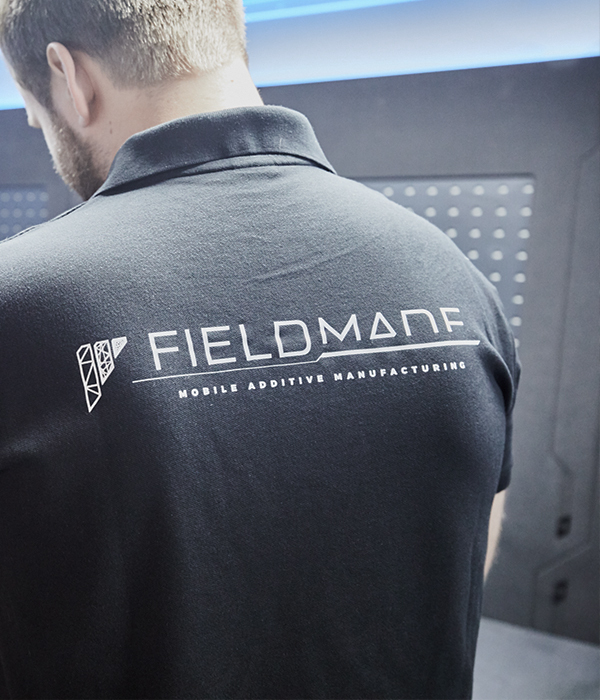 Fieldmade was founded in 2016 as a spin-off from the Norwegian Defence Research Establishment (FFI). Since then Fieldmade has had a strong presence within the NATO AM community and has taken part in several national and international engagements. In 2018 Fieldmade got its first R&D contract with the Norwegian MoD. 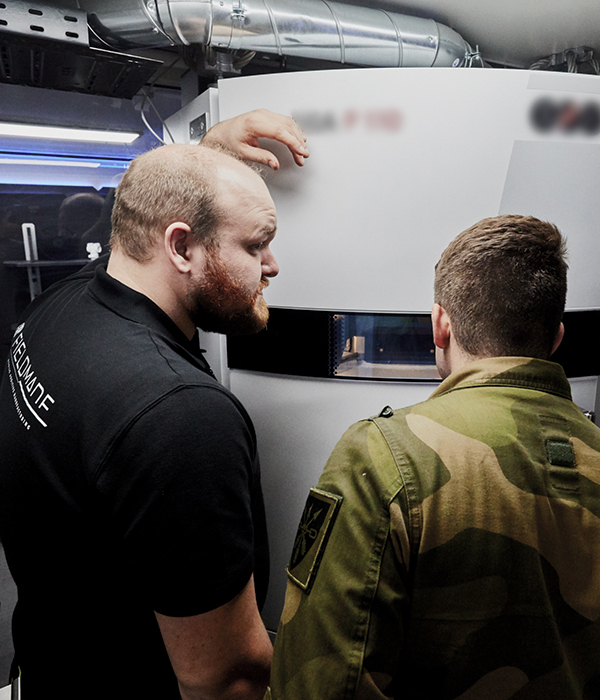 Fieldmade`s core mission is to develop, produce and sell world leading and fully integrated Additive Manufacturing (AM) solutions for deployed military use. We create innovative solutions to complex problems based on cutting edge AM technology and software solutions. We work closely with industry-leading partners to deliver optimal and functional products that meet customer needs. We have set goals for our concept and solutions that may seem unthinkable and impossible to reach. Our world-leading competence in Additive Manufacturing combined with excellence in system integration, hardware and software development enables us to continually redefine the previously perceived limitations of this segment in the market. By focusing on our motto – Dedication, Innovation, and Simplicity – we achieve our goals and continue as the world’s leading provider of in-field Additive Manufacturing solutions.